…and then some. And in all of this tasty, pumpkin happenings there has been a severe lack of chocolate. 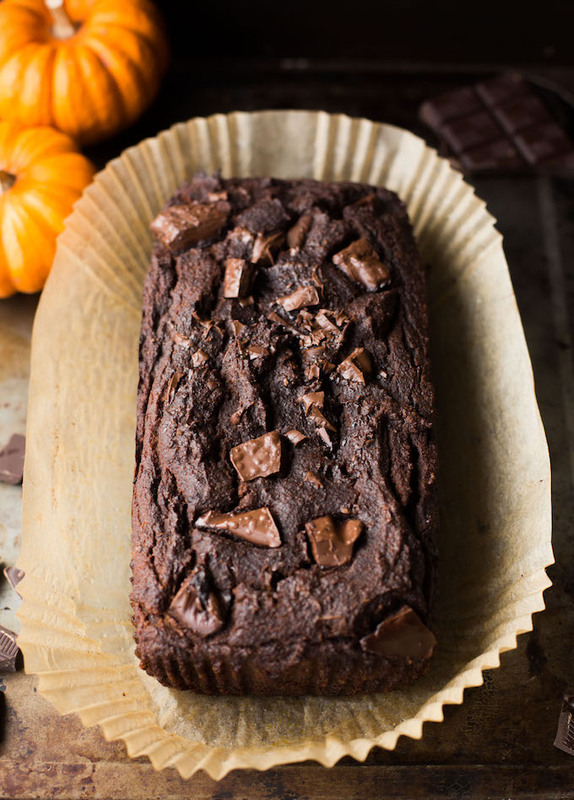 So today – we remedy that with this Double Chocolate (to make up for lost time) Paleo Pumpkin Bread. Despite the somewhat lengthy ingredient list this recipe is actually really simple! 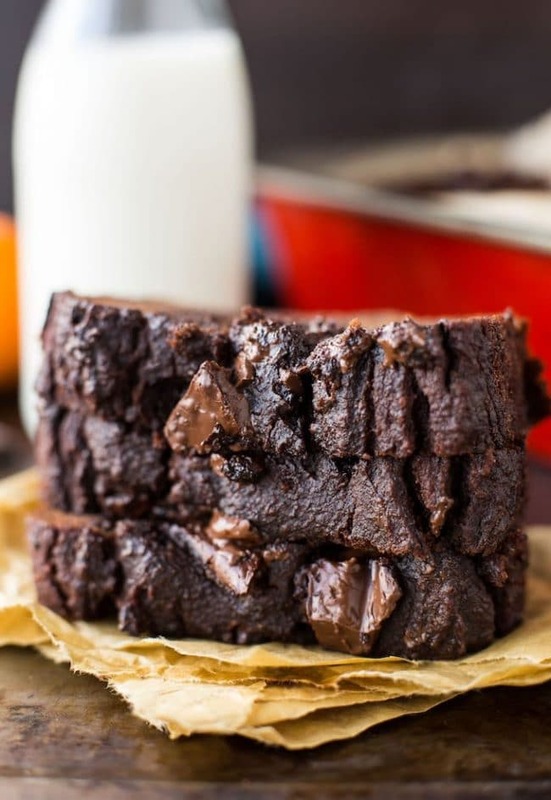 It’s made all in one bowl using typical paleo pantry staples and bakes up in about an hour. If you wanted to cut down on ingredients to make this even more straight forward you can always ditch the individual spices and just use 2 teaspoons of your favourite pumpkin spice blend. I always like making pumpkin breads like this in the evening to enjoy the next day so that the flavour has time to intensify over night. A slice of this and a cup of coffee is not a bad way to start your day, my friends. Bottom line, this cake is rich, moist, easy and suuuuuper chocolatey. And I mean…if pumpkin is a fruit and dark chocolate is full of antioxidants that means that this paleo pumpkin bread is healthy right? Let’s just say yes and call it a day! At the very least it’s god for the soul and I’m all about that. 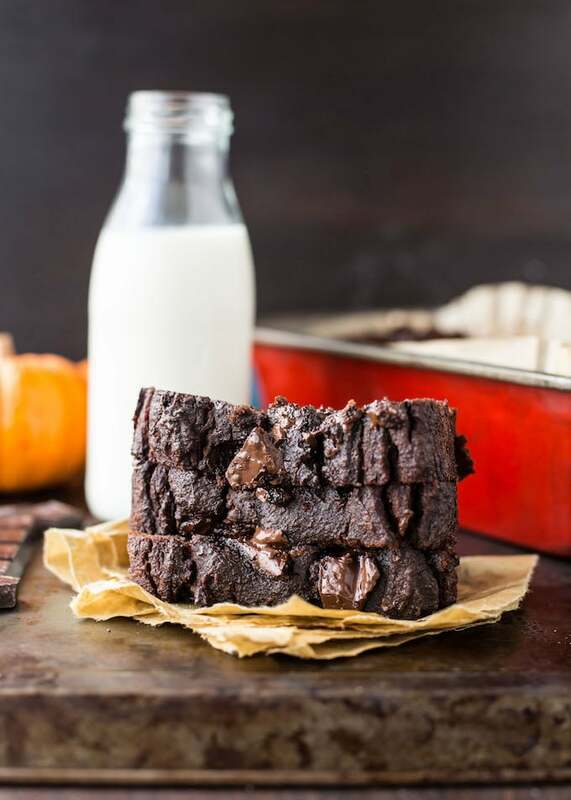 Don’t forget to tag @asaucykitchen if you try these Paleo Chocolate Pumpkin Bread! You can also post your pictures to my facebook page! Add the coconut flour, cocoa powder, baking soda, and all of your spices to the pumpkin batter and mix until combined making sure that you have no lumps in your batter. Stir in your most of chocolate chunks until fully combined. Save a few for scattering over the top. Grease a standard sized loaf pan, or line with parchment and scoop your batter into the pan. Scatter the remaining chocolate chunks over the top of your unbakes loaf. Place in the oven and bake for 45-50 minutes, or until a knife going into the centre comes out clean. Let cool completely in the pan before slicing and serving. Instead of adding all the spices individually feel free to just add 2 teaspoons of your own pumpkin spice blend. Store these in an airtight container in the fridge for about a week or about 4 days at room temperature. Can you substitute something else for coconut oil? Maybe butter and if so, how much? Thanks! Any idea how you would convert this to bake in a Bundt pan? Hi Lori – I’m afraid I don’t know! I feel like you’d need to double it in order to make enough to fill up a bundt pan but I haven’t tried doubling this so I’m not sure how it will turn out. Sorry I couldn’t be more help here! Where did you get the parchment liner? Can you receommend a different flour to make this Low FODMAP? I’m not sure if you have tried anything else and gotten a similar consistency/texture. Thanks! Hi Shannon! For this recipe in particular I can’t recommend any good 1:1 flour substitutes – coconut flour is such an absorbent flour that it needs a lot more moisture than most other flours making it hard to sub out here. Sorry I couldn’t be more help! could i make these as muffins? what baking time would you predict for them? 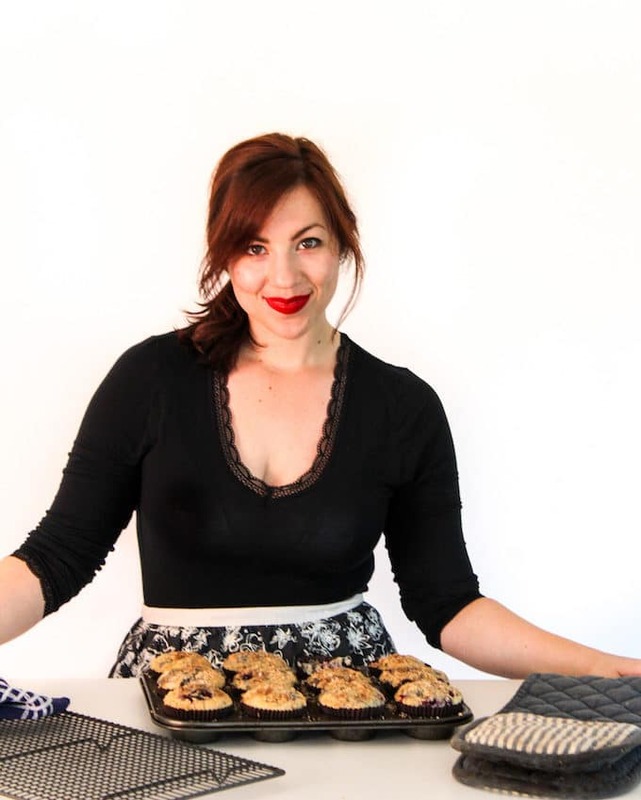 This is one of the best Paleo desserts I’ve ever made. This is a definite keeper! I added pecan halves on top which made it even prettier. 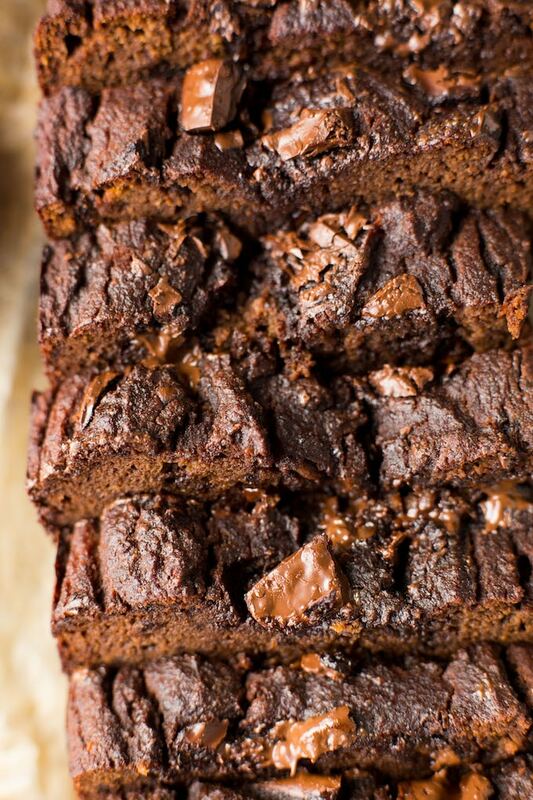 The combination of pumpkin spice and chocolate are out of this world, and the bread is nice and moist. Thank you, thank you, thank you! Hi, I just put in the oven and hoping for the best. Just before I put in the oven I realized the unsweetened cocoa was missing. The instructions do not indicate when to add. Was I suppose to add at Step 3? Thanks! Oh no! Thanks for pointing that out to me – SO sorry about that! It’s supposed to go in along with the coconut flour and dry ingredients. If at the end of the cook time if still too moist in the middle try lowering the heat down to 325 and letting it cook another 15-20 minutes. Again – really sorry about that! Can you sub bananas for the pumpkin? And about how many bananas?! Hi Nikki! Though I haven’t yet tried that myself that shouldn’t be a problem! Usually a cup of bananas comes out to about 3 so that should do it. If you do try it could you come back to let me know how it went with the bananas? Thanks! Oops! Sorry about that – thanks for pointing that out to me! 40 grams cocoa powder & 37 coconut flour. Hope you like it!